Some light Sunday afternoon entertainment. I suggest you get yourself a large cup of coffee, or even better, a large scotch (single malt) before reading this…. Have you ever had the weird feeling you’re watching a film you’ve seen before but now it seems different? The dialog seems a bit different from what you remembered – did they really say that? Then you dismiss the thought as a result of bad memory. I never understood quantum computing (until now) ….How can two different states exist at the same time? e.g. True and False at the same time? Its simply not logical. To our binary view of the world this is impossible. But then quantum computing only makes sense if there are multiple universes – a copy of our universe, but slightly different, in one universe you are mild mannered IT Consultant Bill Smith, in another you are Bill Smith, IT Company owner – two different states at the same time (but two different dimensions). In one dimension an actor in a film says one thing, in another dimension the actor says something slightly different. A quantum computer has two discrete states which occur simultaneously i.e. on and off can occur at the same time. To our view of the world this is impossible but not in a quantum computer where multiple states can occur at the same time which may explain the Mandela effect. The first part of the video talks about people who remember films differently from what they remember, as in Darth Vader said “I am your father…” not, “No, I am your father.” This is called the Mandela effect. This is very interesting and thought provoking. Then it talks about multiple universes and multiple timelines where the same things happen but slightly differently. Have you ever had the weird feeling you’re watching a film you’ve seen before but now it seems different? 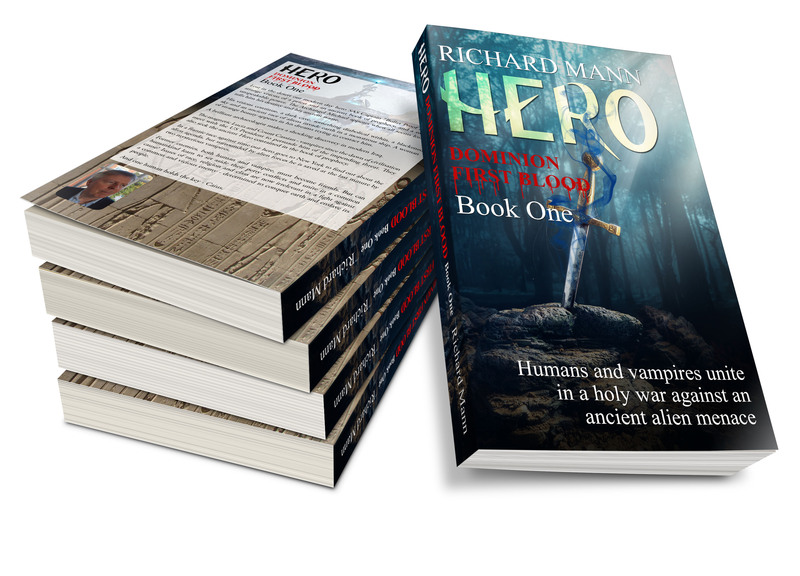 If you love science fiction action adventure books and films like Independence Day, UFOS, Vampires, Government Conspiracies then you will love my new book out on Amazon. If you found this blog interesting please subscribe to my blog (right hand side) for book release dates, news and stories. Next Next post: Is CERN Particle accelerator altering our timelines?